Vistaprint ireland Vouchers, Discount offers and Free Gifts in April 2019. Redeem a Vistaprint ireland Voucher from voucher-code.ie and get your benefit at vistaprint.ie. 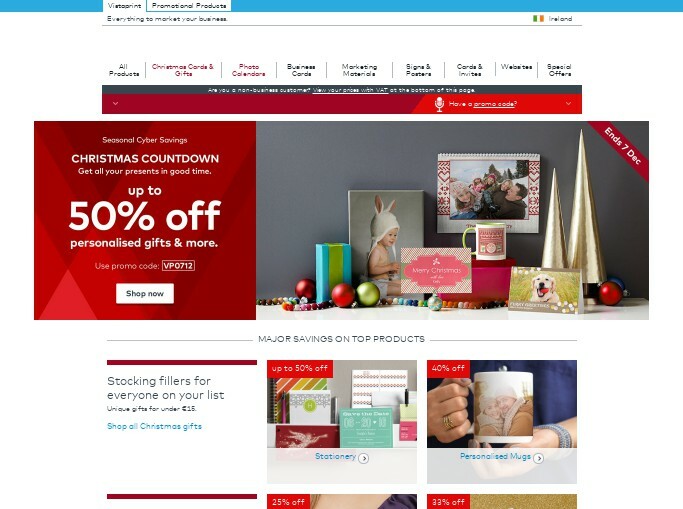 Never miss again a Vistaprint ireland voucher or sale offer! 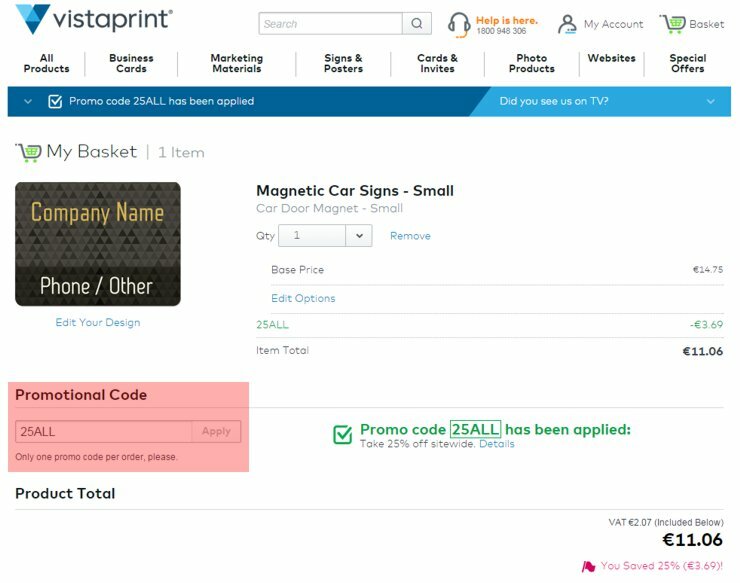 Please enter a Vistaprint ireland voucher code directly in the 'Promotional Code' box on the basket page and activate encashment by hitting the "Apply" Button. Discounts will be applied only if the code is valid and meets the minimum value required. Vistaprint is the price-performance leader for short-run, full-colour printing via the Internet at very affordable cost offers. Vistaprint Ireland products includes announcements, brochures, business cards, folded cards, calendar magnets, folders, greeting cards, invitations, labels, letterhead, magnets, photo cards, post cards, return address labels, rubber stamps, stationary, pens, T-Shirts, hats, car door magnets, window signs, websites, thank you’s, holiday/greeting cards, wall calendars & more.